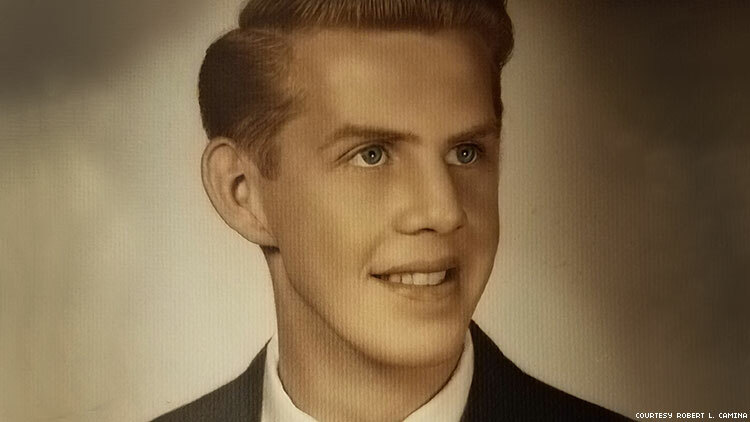 Forty-five years after the UpStairs Lounge fire, the largest gay mass murder prior to the Pulse shooting, one of the "unclaimed" victims has finally been ID'd. This year marks the 45th anniversary of the UpStairs Lounge arson, an event that was the largest mass murder of gay people in U.S. history for over four decades — until the Pulse massacre. Over a month after the deadly fire, four bodies were still unclaimed: those of the three unidentified victims and Ferris LeBlanc. According to local laws, unclaimed bodies had to be buried as “indigents.” On July 31, 1973, those four were buried in unmarked graves at a New Orleans cemetery, identified in recent years as Resthaven Memorial Park. 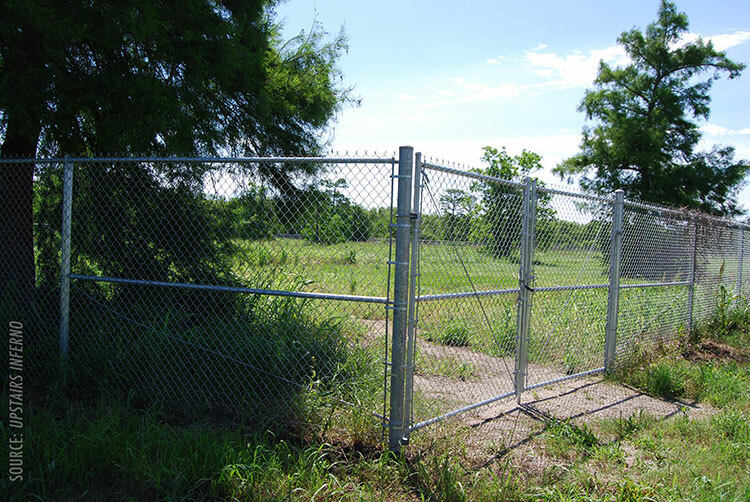 Sadly, the exact location on the property remains a mystery. Who are these three unidentified men? It’s an unsettling question that has haunted the community for decades. However, after 45 years, we may finally have an answer, at least for one of the three unknown victims. In 2013, I announced the production of UpStairs Inferno, the full-length documentary I made about the fire and its aftermath. I’m honored that since then, many survivors, friends and family members of victims and witnesses have felt comfortable contacting me to share their stories or to ask for help. When I committed to making the film, I did so with the mission to honor the victims and give them the respect and dignity they were denied over four decades ago. Even though the movie was completed and released several years ago, I’m still passionate about that mission. If I have the ability to help families, I want to do all I can. One day late this spring, I received a message from 54-year-old Lynette Moreland with information about her relative. While a message like this is not uncommon, I’ll admit I was not prepared for the staggering news she was about to divulge. It would dramatically affect the way we look at the history of the UpStairs Lounge arson. She wanted to break her family’s long, deafening silence and identify her uncle as one of the “unknown white males” killed in the fire. She asked if I could help her family get answers and her uncle get long-overdue recognition as a casualty of the arson. Over the past 45 years, many have claimed to know the identity of the nameless victims. However, without evidence or substantiation, these claims never progressed past hearsay. As I spoke to Lynette and other members of her family, it didn’t take long for me to realize that this situation was different and their claim had merit. As I soon learned, details about her uncle’s death have circulated within the family for the past 45 years. However, fully recognizing that this revelation could significantly alter the historical narrative, I knew I needed to do my due diligence to determine the plausibility of the family’s claim before publicly announcing the identity of one of the unknowns. I conducted lengthy, in-depth interviews with family members. These conversations revealed specific information about when, why, and how they came to learn about their loved one’s connection to the UpStairs Lounge fire. I sifted through police reports, autopsies, newspaper clippings, and more, searching for evidence to corroborate their claim. 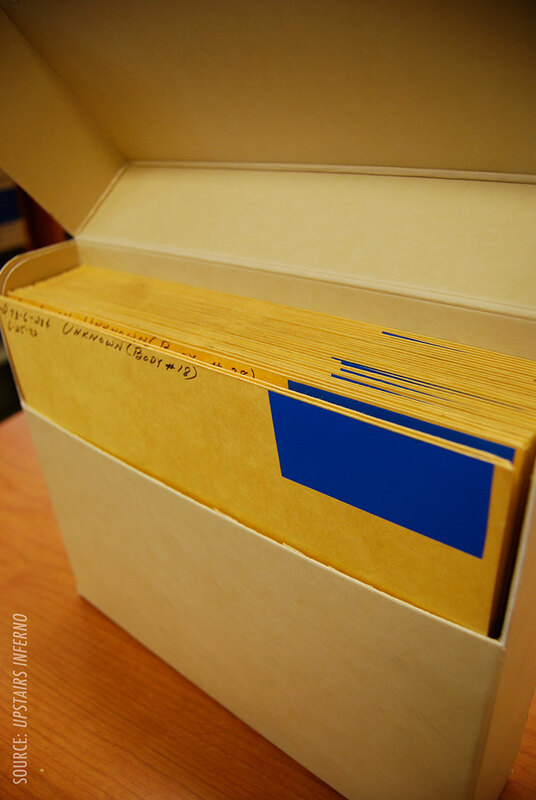 New leads resulted in the discovery of additional substantive documents. I then began piecing together all the clues. 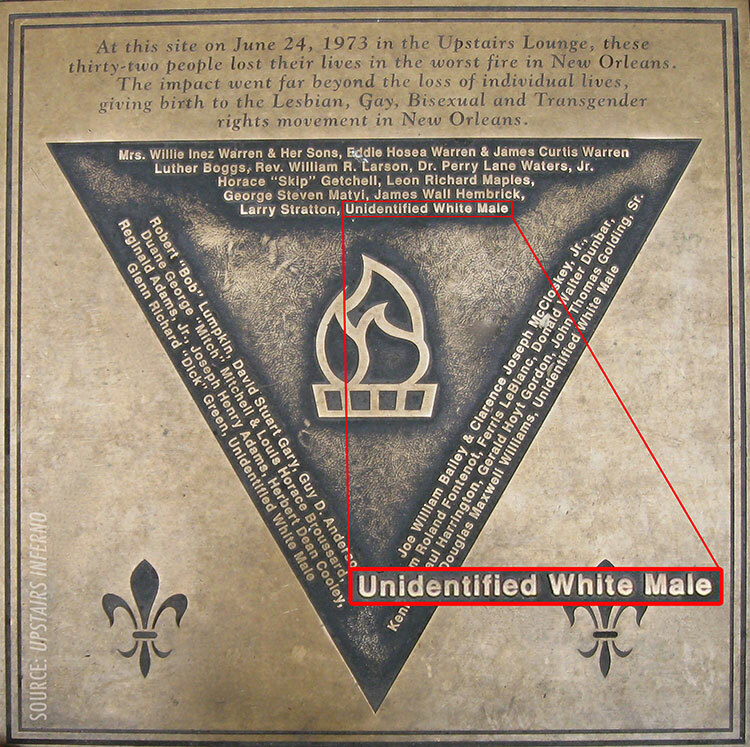 After cross-referencing and carefully analyzing all the available information, I found there is overwhelming evidence to reasonably identify one of the unknown victims as Larry Norman Frost, 32, from New Orleans. Immediately after the fire, New Orleans Police Department detectives began interviewing witnesses, not only about the circumstances surrounding the event but also about potential victims. Records show that Rusty Quinton was one of the first people interviewed. He worked at the UpStairs Lounge during the popular Sunday evening beer busts and knew the regulars quite well. Detectives questioned him only a few hours after the fire. According to the official statement filed by the NOPD, when Detective R. Hughs asked him if he knew any of the people in the bar that night, Quinton provided a lengthy and detailed answer, which included names, ages, and places of employment. Within his answer to detectives, Quinton stated, “Larry Frost, W/M, 32 yrs., employed at the Dauphine Orleans, he’s [the] bar manager.” The Dauphine Orleans was a hotel located only a few blocks away from the UpStairs Lounge. 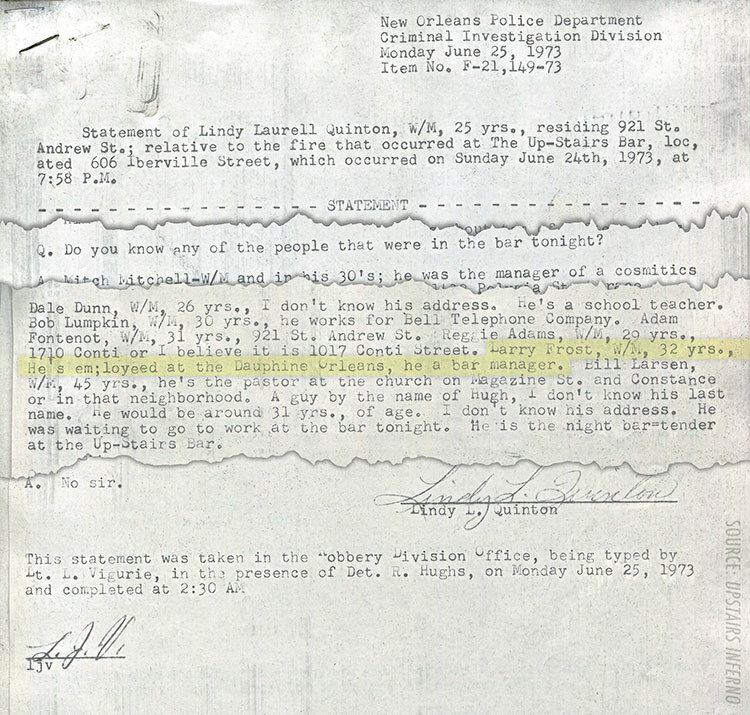 Legal documents show that Louisiana State Fire Marshal's investigators also interviewed Quinton, and once again, he identified Larry Frost as one of the people at the UpStairs Lounge at the time of the fire. The graves for Larry N. Frost and the three other unclaimed victims are located somewhere in the inaccessible, unmarked pauper's cemetery in New Orleans East. Detectives continued to collect names of people who may have been killed in the fire. A major source of names was the New Orleans branch of the Metropolitan Community Church, a recently formed gay-affirming Christian denomination with congregations around the country. As the UpStairs Lounge had once served as a temporary location for the local congregation, members felt a special connection to the bar and often went there after church for the Sunday beer busts. This proved no different on Sunday, June 24, 1973. One-third of the congregation and two clergy members were killed in the fire. Four days after the fire, Detectives Charles Schlosser and Sam Gebbia went to the church and spoke to Frank Dean. He had been at the UpStairs at the time of the fire, sitting with MCC's Rev. Bill Larson and two congregants. The official police report states that Dean provided the officers “names of people he knew were inside the bar at the time of the fire,” and the list included Larry Frost, a fellow member of the Metropolitan Community Church. There is no evidence indicating that Larry escaped the blaze (such as a witness statement or records saying he was injured and taken to Charity Hospital for treatment with the others). That being said, it is plausible that Larry escaped the fire uninjured and left the scene without making a statement, but in light of other evidence, this seems unlikely. A few weeks after the fire, the Vieux Carre Courier, a local newspaper, published the names of UpStairs Lounge arson victims and listed Larry Frost as “tentatively identified.” However, Larry’s body was never positively identified or claimed. According to the autopsies, the three unknown victims sustained extensive burns, covering up to 90 percent of their bodies. The reports are vague and only a few sentences long, essentially rendering them useless as a way to identify victims by descriptions alone. Without additional information or anyone coming forward to claim the bodies, they were buried in unmarked graves, and Detectives Schlosser and Gebbia ended the investigation and filed the official police report August 30, 1973. Larry Frost was never seen or heard from again. Larry Norman Frost was born near Detroit April 11, 1941, to Wilfred “Fred” Glenvil Frost and Dorothy Ruth Squires. He was the oldest of their five children, followed by Ruth, Donald, Mark, and Nancy. 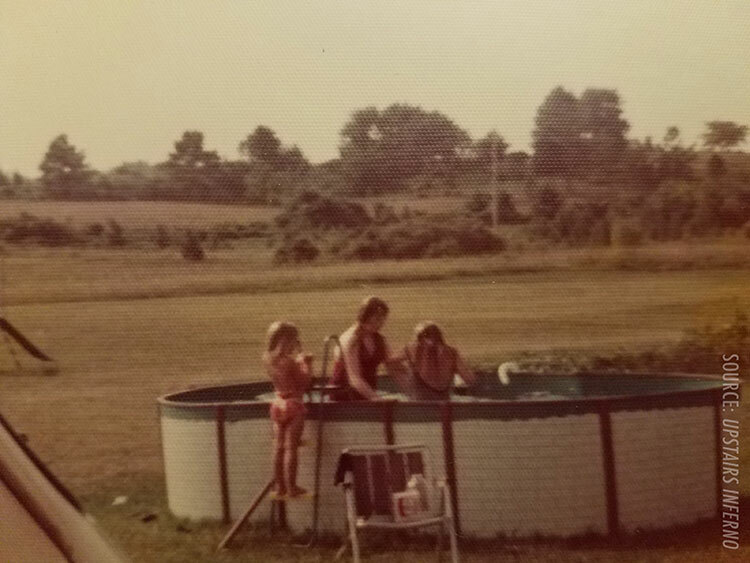 Ruth Frost Moreland (C) with her daughters Loretta (L) and Lynette (R) Moreland in the pool at their Georgia home. Larry was especially close to Ruth, Lynette’s mom. “They were each other’s favorites. My mom loved him,” Lynette recalled. After being diagnosed with lymphoma leukemia, Ruth, along with her husband and children, moved from Michigan to Georgia to live with her in-laws. There, her mother-in-law helped raise Lynette and her two younger sisters and served as Ruth’s caregiver. To this day, Nancy cherishes a plush dinosaur toy he gave her when she was a child. During our interview, she shared that the toy brings back fond memories, and it still makes her smile. “[We had a joke] where he would say the word ‘dinosaur’ and then I was supposed to attack him, like jump on him, wrestle, goof around, play. ... He sent me a stuffed dinosaur from wherever he was living at the time. He probably saw it and thought of me because we had this joke about yelling the word ‘dinosaur’ and then wrestling.” I could hear the smile in her voice as she affectionately reminisced about Larry. “The church was always very involved in our household. Larry grew up going to church just like we all did,” Nancy explained. Even after he moved away, faith remained an important part of Larry’s life. She remembered Larry telling their mom that he had joined a church in New Orleans, “thinking she’d like to hear that. He referred to it often. ... This was his life, so he would refer to ‘Oh, I went to this service’ or ‘I went to a Bible study’ or whatever.” Elaborating further, she said, “He really tried to keep himself anonymous ... but it was kind of just the one thing we knew [about his life]. That’s probably where his group of friends were.” As it turns out, Larry was talking about the local congregation of the Metropolitan Community Church, something that was confirmed by Frank Dean during the investigation. Even though he liked his independence, Larry always sent greeting cards or called home on special occasions, Nancy said. It was uncharacteristic of him to miss a birthday, his parents’ anniversary, or holidays. In addition to the cards and phone calls, Nancy and Larry often wrote each other letters. While I am getting ahead of myself, this seemingly ordinary routine would unwittingly yield evidence implying a connection between Larry and the UpStairs Lounge fatalities. If the family wasn’t estranged, and given the fact that Larry had been tentatively identified as a victim, why didn’t the family claim his body? According to Nancy, “They didn’t know at the time.” I was confused. On the surface, her answer appeared to conflict with the notes from the investigation. At some point during the investigation and before the official police report was filed, detectives were provided with his mother’s contact information, including her name, address, and phone number. (After I read her the details from the police file, Nancy confirmed its accuracy.) Unfortunately, detectives failed to document the source of this information or when it was provided. This is where their stories get murky and timelines are blurred. It is unclear when the family learned that Larry may have been killed in the UpStairs Lounge fire. Lindy "Rusty" Quinton's statement to New Orleans Police Dept. detectives, identifying Larry Frost as a patron in the Up Stairs Lounge at the time of the fire. “A couple weeks later, my letter came back and someone had written across the front of it, in crayon, ‘Person Deceased.’ I remember taking it into the house and showing my mom and they’re all like, ‘What? Why would someone do that?’” Nancy admitted that she doesn’t think her mom or the rest of the family took it seriously at the time. The family’s display of indifference and inaction certainly supports her perception. It seems odd that, in the wake of receiving such ominous news, Larry’s mom reacted so calmly, void of panic or an urgent desire to determine the truth behind this letter. It is definitely a feeling shared by Candy Frost Lewis, 69, Larry’s sister-in-law at the time of the fire. “She never once even made a phone call down there. ... Now, if that was my child, I’d be on the phone or I’d be down there looking into some stuff! She never did anything. Nothing!” It is clear that Candy is still frustrated with her former mother-in-law’s lack of response to the letter. But what if Larry’s mom knew about his death before Nancy’s letter was returned? As previously mentioned, her contact information is on file with the official police report. “I really don’t know of a phone call. 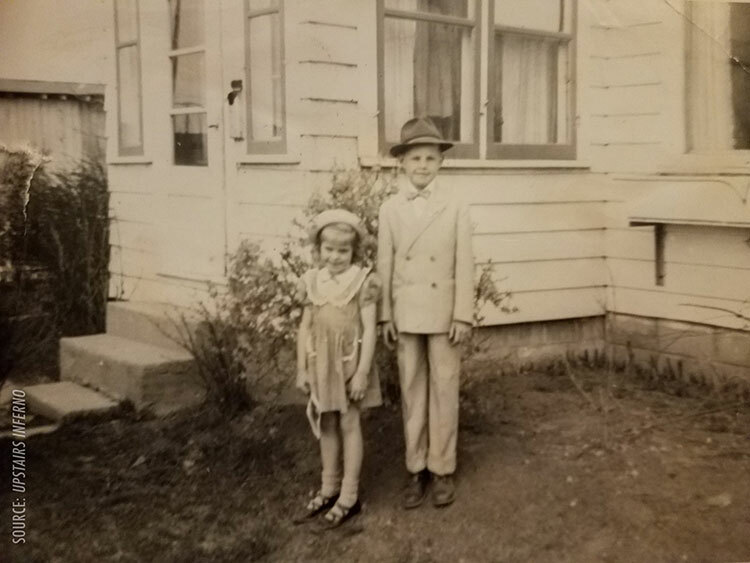 I can’t recall any kind of turmoil in life,” Nancy countered as she thought back to that summer and whether she observed any signs of distress within the Frost household that may have resulted from a disturbing call from police. It wasn’t until the Frost family realized they hadn’t heard from Larry for a prolonged period of time that they finally took action. Larry’s brother Donald Frost and a friend drove from Michigan to New Orleans in search of answers. Donald, now 70, speculates that his trip occurred approximately one to two months after the fire. During his visit, Donald learned that the unclaimed bodies had already been buried. That puts him in New Orleans after July 31, 1973, the day the four unclaimed victims were buried. Donald spoke to his brother’s landlord, who said that Larry left one night and never came back. Donald asked if there was anything missing from the apartment that might indicate Larry had packed a bag and moved. “The landlord said, ‘Everything looks in order. There’s nothing missing,’” Donald explained. “Everything was there. His clothes were there, all his pots and pans and whatnot. Everything was still there as if you were to leave and go to work and not come back.” The landlord told Donald that he suspected Larry died in the fire, because the UpStairs Lounge was one of Larry’s favorite places to go. Don’s search for information continued. It’s unclear exactly who he spoke to next, but Donald has simply referred to them as “the company that buried [Larry].” He’s fairly certain he didn’t speak to detectives and doubts it was an official from the Coroner’s Office. Donald was optimistic that Larry’s medical history might help. According to his family, Larry was severely injured in a car wreck in his 20s. During the accident, his face hit the steering wheel with such force that it fractured his cheekbones. As a result, Larry had metal plates implanted in his face. Memorial plaque enshrined in the sidewalk outside the former entrance to the Up Stairs Lounge. While asking around, Donald was hoping he’d hear something like, “Oh, yeah, we buried one of them that you could tell that his face bones had been broken prior.” However, “nobody really knew anything,” he said. Without investigating any further, Donald returned to Michigan. Lynette admits it’s possible that her family received the heartbreaking phone call in August since school hadn’t started yet, and that it could have been from Donald after he returned from New Orleans. Reflecting back, Donald said he may have been the one to call Ruth, but that it may have also been his mother. If the returned letter was truly the first time the family learned about Larry’s death, it would support Nancy’s argument that the family didn’t have enough information in time to positively identify him and, contrary to popular belief, didn’t make the conscious decision not to claim his body. However, the mystery remains of whether or not the police department contacted his mother before she received the letter, and if it did, why she chose to remain silent and not take action. “We will never know the truth. She took that to the grave,” Lynette sighed. 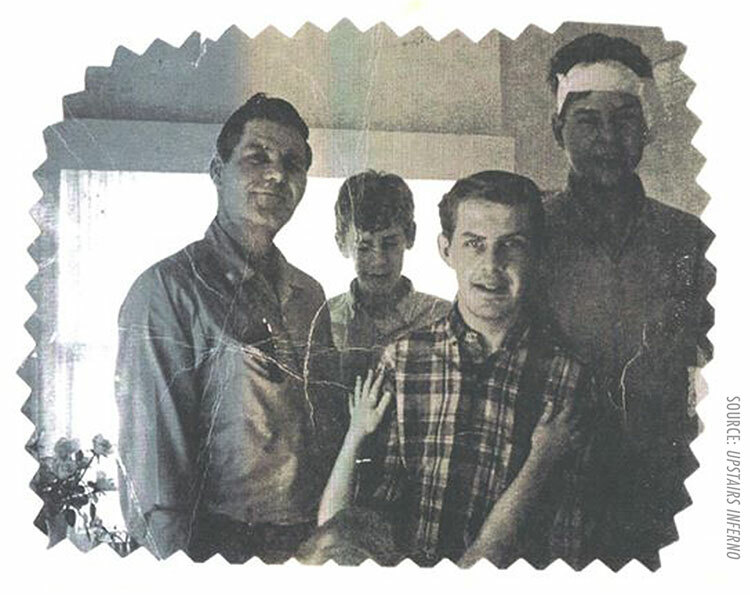 In spite of the returned letter, the condition of Larry’s apartment, and his uncharacteristic silence, the Frost family still wasn’t convinced that Larry was dead. Since he was notorious for moving around and they lacked solid proof that he was dead, they believed Larry simply moved to a new city. The family left it at that and didn’t take any further action. “It bothers me that none of them even cared to investigate any further than what they did,” Candy lamented. In their defense, Nancy said, “None of us kept pursuing it because we didn’t know that we had something to pursue. I could see if we thought he was really dead, but we really didn’t. We really thought he took off.” However, as months passed, no one heard from Larry, not even his dying sister, Ruth, to whom he was very close. Her death in November 1975 came and went without a word. Even after years of not hearing from Larry, the family never added him to the national missing persons database. They felt he was off living his life somewhere and would contact them when he was ready. Since family members have long suspected that Larry died in the UpStairs Lounge fire, why haven’t they already taken steps to identify him as one of the unknown victims? The fire remains the deadliest in New Orleans history. Public memorials have been held for years on the anniversary of the tragedy. In 2003, on the 30th anniversary of the fire, a memorial plaque was installed in the sidewalk outside the former entrance of the UpStairs Lounge. It displays the names of all the victims, with “Unidentified White Male” listed for each of the three unknown victims. Had the family spoken up sooner, it’s quite possible that Larry’s name could have been included. Nancy said it never occurred to her that people outside the family would be interested in his death. Until recently, they didn’t understand the magnitude of the fire, its place in history, or the passionate, vested interest of the LGBTQ community. “I honestly didn’t know that the whole thing was such a big deal—that people knew about it,” Nancy explained. “I didn’t know there were parades or memorials.” She insisted that their silence wasn’t out of a lack of caring or shame. Simply put, they didn’t know that there was a reason to speak up. “Overall, we loved him. We didn’t judge him. He had his life, his choice of life, and that’s fine. We didn’t hate him or throw him out. It was never that way, so there’s no sensational story on that side. ... He was loved,” Nancy fervently added. Reflecting on her uncle’s fate, Lynette said, “I’ve often thought about this and how awful it must have been to burn in that fire, that nobody claimed the body and it’s just sort of like you’re thrown away like a piece of trash.” However, until this spring, “I really never actually thought about inquiring to look into it ... I just felt something around me as if somebody’s asking for my help, and that’s why I Googled it,” she added. “Maybe my uncle was reaching out to me. I don’t know, maybe he’s not rested and needs to be put to rest.” That search led her to me and UpStairs Inferno, which brings the story full circle. While some questions may never have answers, there is more than enough evidence to reasonably conclude that Larry Norman Frost is one of the three unknown male victims of the UpStairs Lounge fire. The only way to have a more definitive answer would be to exhume the bodies and conduct DNA tests. However, at this point in time, no one knows exactly where the graves are located. The search continues, but it’s uncertain if and when they will ever be found. As a community, as compassionate people, do we really want to continue denying Larry Frost the dignity extended to the other victims until this happens — if this happens? History has essentially erased him by omission, but we can change that. It is time to officially acknowledge Larry Norman Frost as a victim of the UpStairs Lounge arson and list his name in the history books alongside the names of the other identified victims. He deserves respect and recognition. In the wake of the deadly fire, most people turned their backs on the victims and the gay community. Let’s not turn our backs on Larry now. Robert L. Camina is the writer-director of the documentary UpStairs Inferno, which is available on DVD and VOD.